IS CREATING THE EARTH CHAKRA POSSIBLE? Yes, indeed! You only need to have the right tools for this. A Spherical Pyramid-the Earth Chakra is such a powerful instrument that its emanation can be legitimately compare to the energy flowing from immense Earth chakras. WHAT EXACTLY A SPHERICAL PYRAMID IS? We know that their proportions and the way they have been constructed prove their mathematical and engineering mastery. Numerous experiments show that they are transmitters of mysterious energies, and their properties are not lesser at all than the genius with which they had been created. 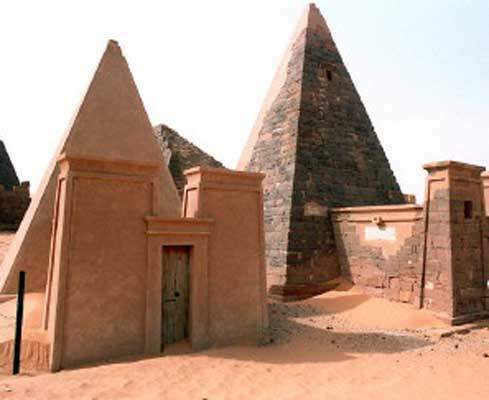 However, it is worth highlighting that the proportions of the pyramids we know from Egypt are not the only adequate ones for this type of constructions. The pyramids all over the world take different forms and have been built at various angles. The pyramids all over the world take different forms and have been built at various angles. One of the possible construction solutions is a pyramid built on an equilateral triangle base, and precisely speaking, two of such pyramids interpenetrating each other. Such constellation is called the Merkaba. 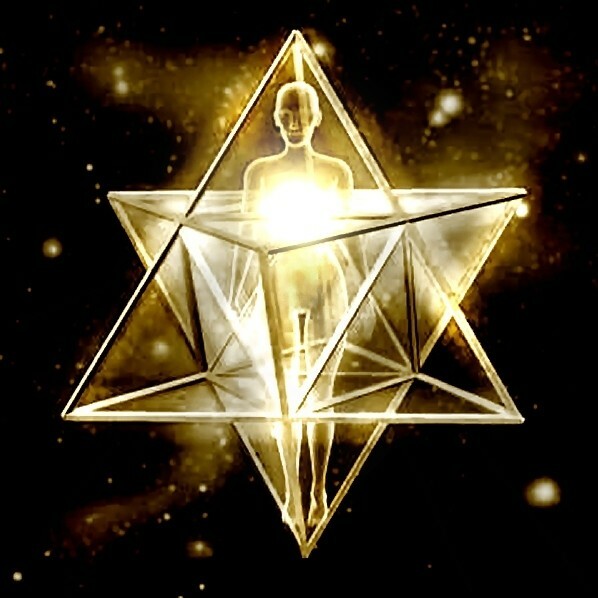 Merkaba is the energy surrounding every person captured in a geometrical pattern of two interpenetrating pyramids. One of them is pointed up and connects with cosmic energies, while the other – pointed down – allows connection with energies of the Earth. Knowledge about a special impact of this particular shape was brought to Egypt by the refugees of the Atlantis. It turns out that when built of proper materials, correct tracing of the Merkaba shape is a transmitter of the energy very similar to this of the pyramids and what is more, it is far more dynamic. Such dynamics allows this energy to cumulate far smaller instruments. At the same time, one can notice that once such construction is combined with specific crystals, the Merkaba emanation multiplies. Several years of work with the Merkaba have proved that it is a very powerful tool making meditation easier and enhancing spiritual growth. Hundreds of users of the Merkaba Activators all over the world have gained an easy access to higher states of consciousness and guidance of Higher Self. Similar to ‘traditional’ pyramids, the Merkaba can be successfully applied for cleansing and energizing of water and food. The 2014 was a groundbreaking year. In May 2014, we constructed the first Merkaba which is an exact mapping of energy field emitted by a multidimensional being. This is how a Multidimensional Merkiva was created. The Merkiva is a quadruple pyramid and its emanation is two times more powerful over the Merkaba’s. Morover, it is of different kind as its extraordinary geometrical structures open in us long-forgotten essence of our Divine Multidimensional Identity. Further works developed into combining the energy generated by the shape of the pyramids with the energy of spherical constructions and ended with a success. In October the same year during the London fairs, the first Spherical Pyramid based on the Multidimensional Merkiva was constructed. Sometimes you can see a combination of the two, e.g. A Spherical Pyramid is a fulfilling combination of all three: the energies of both shapes and the energy of crystals in one huge instrument. It is a groundbreaking solution deserving broad spreading! Here is the Spherical Merkiva Power Alpha as presented in a short film. The photos do not reflect its spatial structure. Admittedly, it is not a multidimensional film, however, it still gives you the idea of a beautiful instrument. The emanation of the Spherical Pyramid is much stronger than the same pyramid without a sphere. Countless experiments show that the most powerful emanation of both the Merkaba and Merkiva spreds out of their corners which are shaped into small triangular pyramids dressed with crystals. The sphere gathers part of the charges and leads them to the poles at the same time subjecting the instrument to recirculation. Thanks to this procedure we reach the effect of power multiplication which can be very strongly and clearly felt. If we were to use the analogy of a different branch of industry then the sphere can be compared to a turbocharge in a car. Those who drove a car with a standard engine and changed to a car with a turbine know the vast difference. Thanks to the sphere, the power increases even up to 35%! The power increase is not the only benefit from spherical installation. Thanks to it the whole characteristics of the energy changes. The standard Merkaba or Merkiva emits energy typical for all pyramids that unfolds linearly while the sphere changes this pattern into a toroidal, cyclical one. This makes her milder and more friendly for human body. It is worth mentioning that according to the newest research, the electromagnetic fields emitted by our hearts is of torus shape. 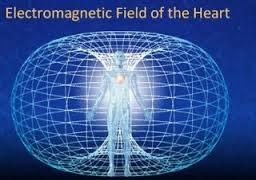 The electromagnetic field of a healthy person spreads out its emanation around our whole body. A toroidal field of either Merkaba or Merkiva perfectly synchronizes itself with a field of a human heart, reinforcing its emanation, improving health and speeds up spiritual growth. Spherical pyramids have one more unique feature. By comparing both constructions – with and without a sphere – one can easily notice that the structure of the solid changes from open to a partially closed one. This creates a safe space where we feel good and comfortable. Meditating under the Spherical Pyramid creates an excellent chance to isolate external factors and to enter internal experience which is the essence of meditation. The sphere is also a positive solution to all Feng Shui lovers who usually question pyramidal shapes as being too sharp. 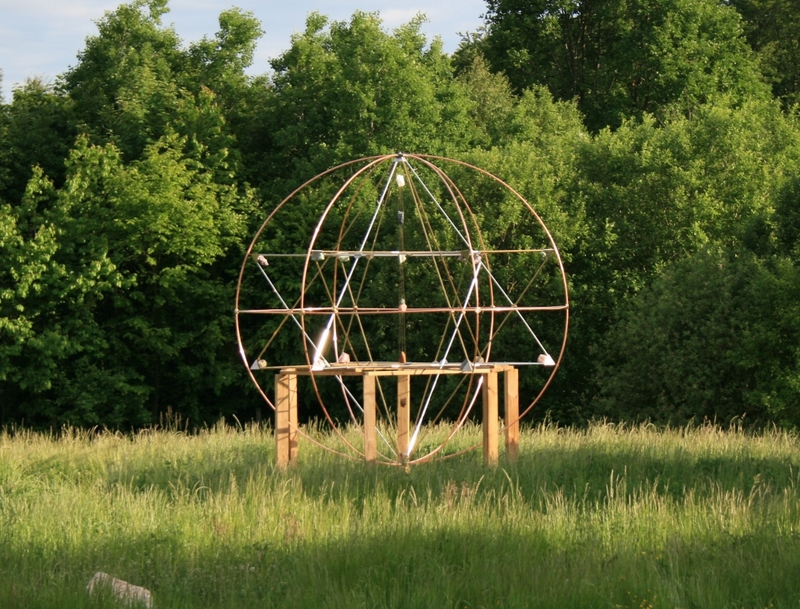 A pyramid taking shape of a sphere is a friendly element, increasing the flow of energy. New spiritual energies that reach the Earth more and more strongly, cause intensive growth in many people. A threshold of such phenomena as teleportation or telekinesis is within our reach in the nearest future. However, in order such phenomena to take place, the speed of vibrations should be raised. Let us assume that you would like to teleport yourself or lift your body in levitation today. It is rather hard to do as your body is too heavy for this and too slowly reacts to commands of your will. All this however is doable provided that the energy whirlpools, out of which elemental molecules of your body are built, will spin with far greater speed than the present one. If we are to exceed limitations typical for beings capture in a three dimensional space than our whole system should vibrate at far higher frequencies. Such instruments as the Spherical Pyramid, especially as the Multidimensional Merkiva, in a highly detectable way increase the potential of our energy. The Merkiva users for first few weeks since its purchase usually experience a very intense energy flow. This phenomena lasts until the level of energy stabilizes higher. This way we take an important step into a reality in which everything will vibrate at a much higher level. Naturally, it is not an ultimate step, but undoubtedly the right one on a present stage of development. What will be next? Together with an increase of an intensity going into the earthly sphere of energy, a need arises to build more and more advanced instruments which transform this energy and transfer to residents of the planet. It is easily observable that advancement in construction of stronger and stronger instruments are intensively dynamic, and their capacities grow not linearly but geometrically. Thus, we deal with a very fast doubling of gained power. Just a new instrument is introduced to a common use, it is already followed by another, more advanced construction. At present, the Spherical Pyramid in a form of the Multidimensional Merkiva is an instrument perceived by its users as truly powerful, however, one should be aware that its development has not stopped at this point. Somewhere over the horizon there are other revolutionary solutions toward which we come really fast. It is both normal, proper and congruent with the Earth development plan. We should keep up with the times as they will not wait. Though it is not yet visible to a naked eye, the future of ‘People of Spirit’ on this planet seems to be really interesting! We wish you wonderful experiences and exquisite transformations with an unique energy of the Spherical Pyramids!